Kids with Attention Deficit Hyperactivity Disorder, whether they're hyperactive, impulsive, or inattentive, can have a tough time at school, with friends, and at home. Kids may start feeling sad, lonely, nervous, or worried. School and homework can be a nightmare. Friendships can be more about drama and difficulties than fun and companionship. 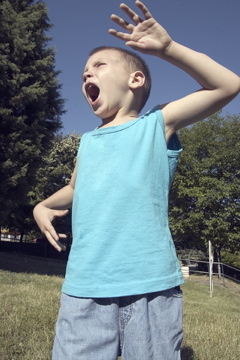 Behavior is disappointing, even when your child is really trying. Life can be just so frustrating! With ADHD and ADD, organization, social skills, planning, and achieving can all be out of reach, no matter how hard you all try. I focus in working with kids with special needs like ADHD and ADD. I work with kids whether they're taking medication or managing without, whether they've been diagnosed, undergoing diagnosis, or even if their parents and teachers are just starting to notice symptoms. I'll work with parents, teachers and kids to set up achievable goals. Putting an end to meltdowns.